I must admit that when I knew about a new art manifesto in 2013, I felt a bit reluctant. Does it make sense in the 21st century? This format was the avant-garde tool to reclaim their place in the art scene of that time, in which one of the most remarkable manifestos emerged during this vibrant and exciting period. It was written by Der Blaue Reiter, and advocated a naive and innocent representation in order to get an honest art. However, 100 years later, in a much less optimistic time, Andy Holden is looking for the opposite, and avoiding the childish innocence; he proposes to obtain this desired honesty with an ironic attitude, being as sincere as only a teenager would be. When you enter Zabludowicz´s main room, you realize that Andy Holden has returned to adolescence and presents himself, and the other members of the M ! M S group, as collectors of moments, leaving the visitor inside the most sacred space for any teenager, the bedroom, where everything seems chaotic, but each object has its own meaning. In a certain way, Holden acts as curator to the exhibition, selecting a few objects created specifically for this space, along with other previous artworks by M ! 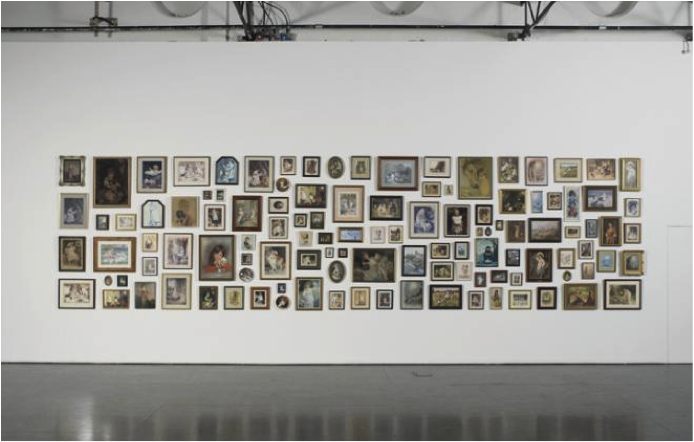 M S. There is also a playful factor in the show, where the presence of personal objects, and the stories of each character in the videos, makes the visitor forget for a moment that you are viewing an art exhibition, allowing you to identify with Holden’s proposal. This project is filled with authenticity, and the passion of the M ! M S members can be seen, especially in the different videos, and in the musical involvement from the band The Grubby Mitts, and the Tiffin Chamber Orchestra. These narratives entangle the public, by combining the stories with choirs and music; an excessive manner full of irony. 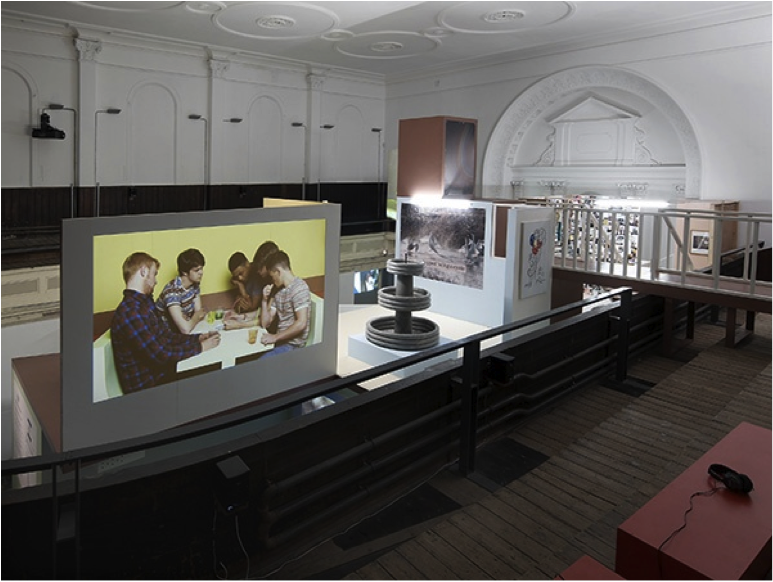 The Zabludowicz´s London space presents the artist´s most ambitious project so far. For that, Holden includes the deep roots of his work, stemming back from his training in 2003, and the founding of the Bedford-based artistic movement M ! M S with John Blamey, Roger Illingworth, James MacDowell and Johnny Parry. Here Andy Holden’s manifesto is in full force. It is a convincing proposal for art making, but more importantly, this project produces through the adolescence a metaphor about how we establish our place in the world, and creates a reflection, on how to analyse and be critical of the society in which we live. Whoever thinks this exhibition is a joke, should know there is always a little truth in every joke. ← Sir John Soane Museum – house of horror or home of the muses?